1890s. "The French Quarter, New Orleans." Its carbon arc lamps lighting the way to an electrified future. Glass negative by William Henry Jackson. View full size. Submitted by JennyPennifer on Sun, 03/17/2019 - 11:16pm. 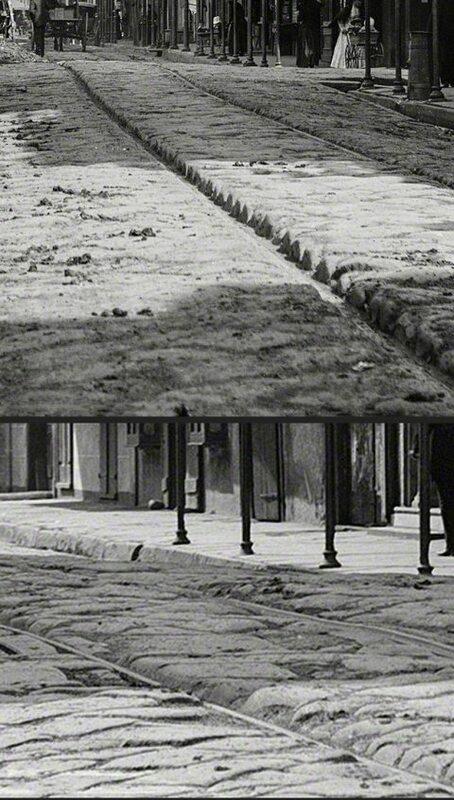 I've studied this picture top to bottom, side to side, several times; I love New Orleans architecture and I never tire of gazing at that wrought iron lace. What keeps me coming back to look at the photo again, though, is not the buildings. It's the two little boys walking, with the older one toting a pitcher. I wish we could know why they were doing that, so long ago, on what was obviously a lovely day. It's a beautiful image. Submitted by HarahanTim on Sun, 03/17/2019 - 6:31am. 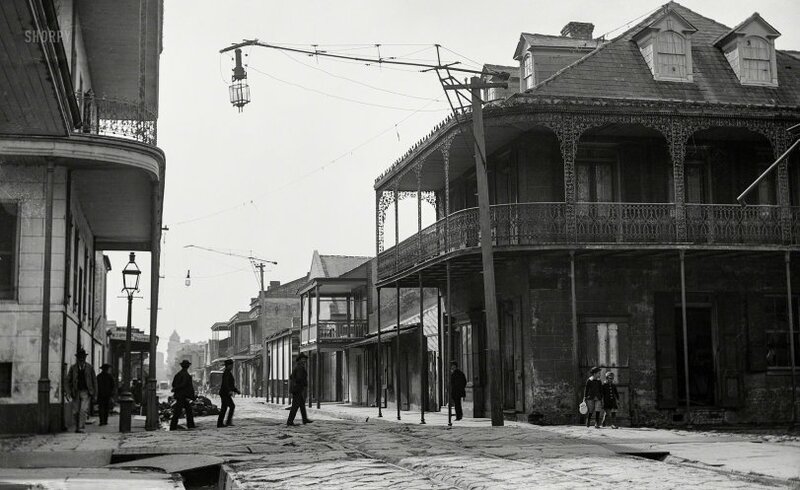 This picture may have been taken a little after the previous New Orleans picture, "The French Quarter - 1890s". In this photo, the streetcar rails are installed. In the previous shot, the ruts for the track have been created, but appears the rails have not yet been put in place.